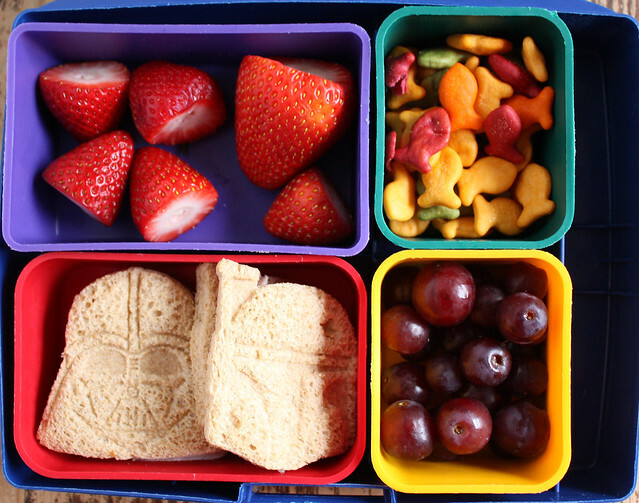 Monday, I packed Wyatt’s lunch into our good old Laptop Lunch box: strawberries, rainbow goldfish crackers, grapes and turkey sandwiches cut to look like Darth Vader and Boba Fett with our Star Wars cookie cutters. 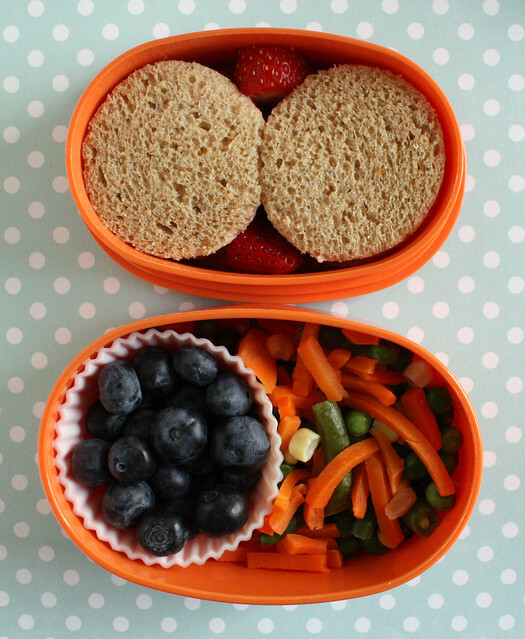 On Tuesday, Augie had PB&J circle sandwiches, a couple of strawberries to fill the gaps, blueberries and frozen mixed veggies. 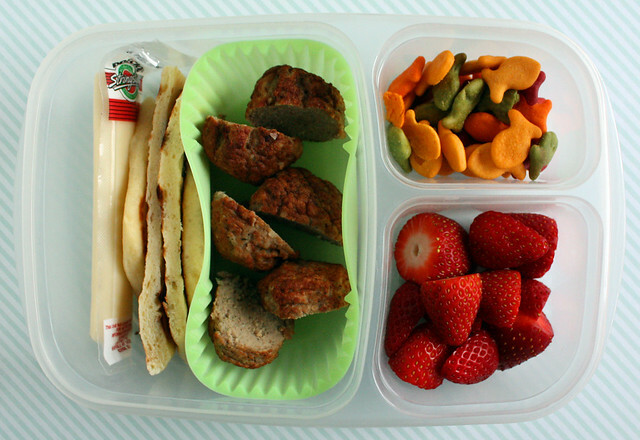 Wednesday’s lunch for my cutie patootie preschooler was strawberries, carrot sticks, turkey strips and homemade garlic naan (made with this recipe). 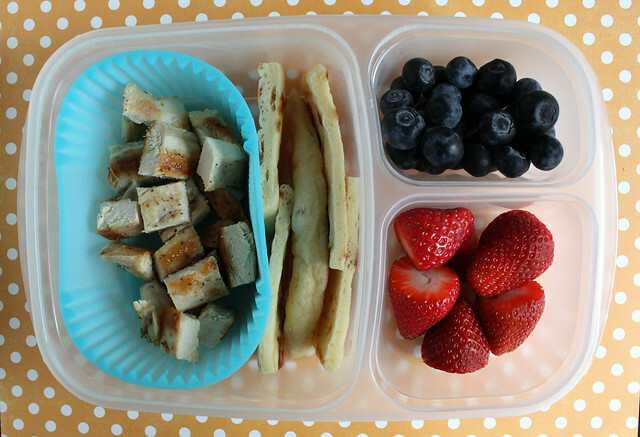 Wyatt’s lunch was packed in the Easy Lunchbox : leftover chunks of chicken from Wednesday’s dinner, strips of naan, blueberries and strawberries. Thursday I made rice balls for Augie with our dinner leftovers using this new mold. In the morning I punched some faces out of nori with my face punches and adhered them to the rice by wetting the rice ball a little and placing the nori on top. It’s a simple technique if you have the equipment, but Augie was totally thrilled by it and even talked about it when he got home from school. 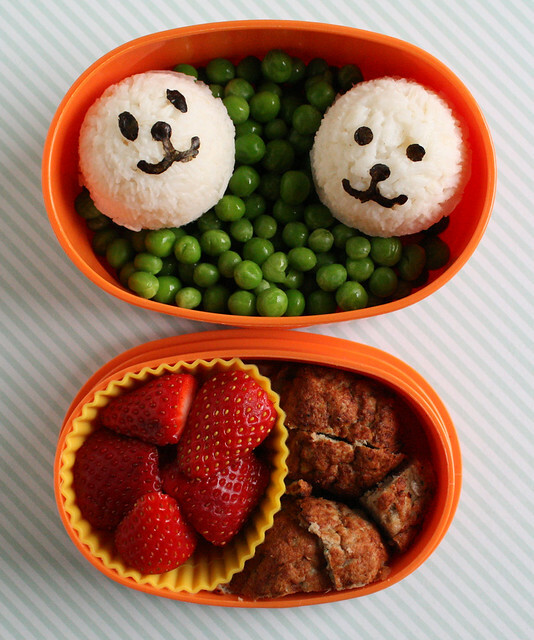 I also added frozen peas, turkey meatballs and a few strawberries. Wyatt had a cheese stick, the last of the naan, meatballs, goldfish crackers and strawberries. 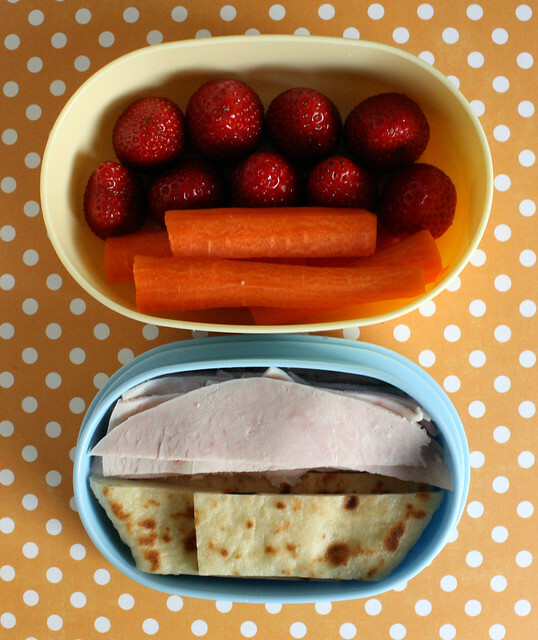 Today I made the kids the kind of lunch I’d like to eat myself! 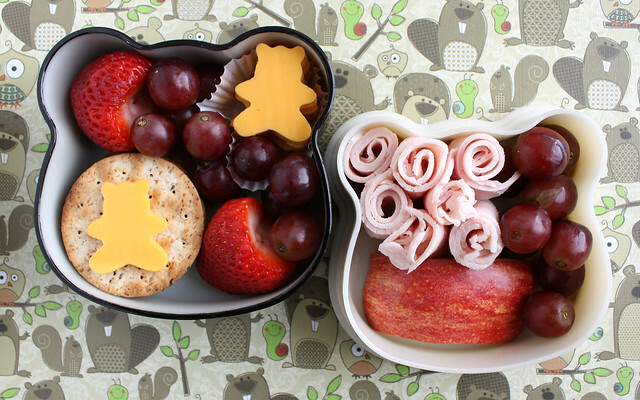 Augie had strawberries, grapes, wheat crackers, soy cheese bears, deli turkey roll-ups and a chunk of apple. 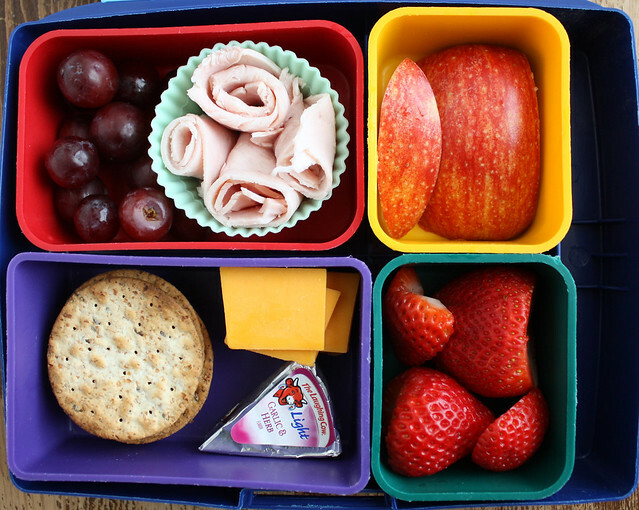 Wyatt’s lunch was nearly identical, but he had real cheddar and a wedge of Laughing Cow cheese. He specifically requested that I not cut his cheese into shapes, so he has boring old rectangles.